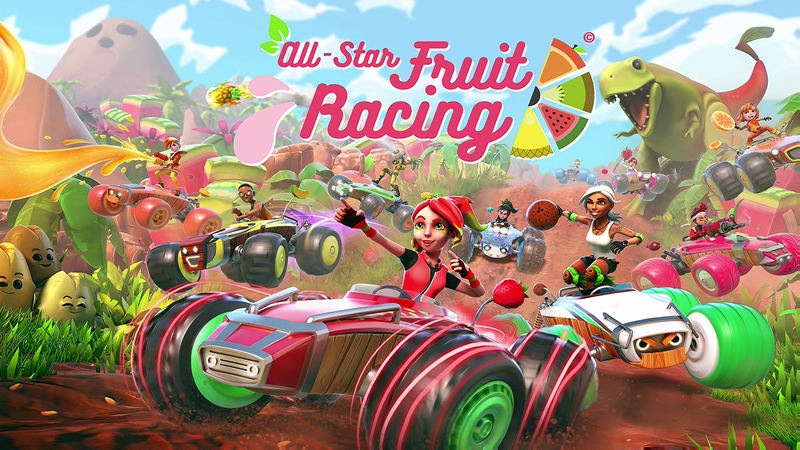 All-Star Fruit Racing offers both offline and online play, but the truth is online is already dead it seems, with me yet to get a single online game going in all the time I've played it. So certainly go into it as an offline racer if thinking about picking it up unless there is a drastic change to the online fanbase here as I'm typing this up. It also offers 4-player split screen local play, so for those that have the mates and controllers to take advantage of this, it is there for you. The modes themselves are pretty much what you expect from such a game, with custom race, Career (they say career but it's basically just a championship with zero story to it), fast championship, a custom championship, time attack, and training. Each mode is pretty much what it says so no real need to go into great detail here, with career being the one where you must beat all the cups available to you, eleven of them in total, with them, of course, going up in difficulty the further you get. This isn't a cheap little racer to pick up like many on the store, with the game currently going for £34.99 on the store. 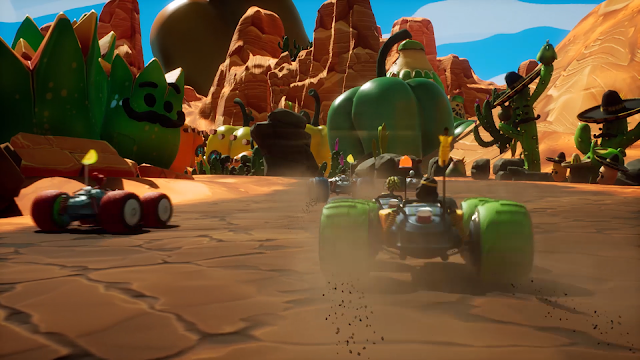 Kart racers can be frustrating at times, with opponents that feel super-powered and also just happen to have the right weapon to take you out seconds before you cross the finish line. I could boost for a whole lap on one race, clearing out all the fruit that was needed too to be able to perform this power with my fruit tank (the machine you need to fill up with fruit that you will find on each course to perform one of the below powers. yet still find myself taken out on the last corner. In regards to the special powers, while this is partly explained in training, it's not something that tends to stick with you, with the same said for some of the race modes you will come across too. These just kind of show up, and you just race them like you would any other race. Overall the racing side of things was just a massive letdown for me. Overall: A pretty expensive racer with other cheaper ones out there offering a lot more to them if I'm being honest. Some terrible AI stop it at times from being the fun racer it looks to be, making for moments where you will feel like the game is purely just toying with you and screwing you over.